Over at The Reality-Based Community Matthew Kahn has a post suggesting that the Facebook IPO and the minting of a thousand new millionaires will make property tax revenues “soar” in Silicon Valley and help local schools. Matthew Yglesias picks up the theme on his blog. They both seem to forget that, in California, public finance is, well, different. Even if the demand created by Facebook employees were to raise housing prices in the Bay Area, the effect on property tax revenues would be small. Under Prop 13, increases in the assessed value of existing homes are limited to 2 percent a year. The Facebook effect would be limited to houses at the margin—either those newly built (which Kahn sees as unlikely under the Bay Area’s restrictive housing policies) or those existing homes whose sale would not have happened in the absence of the Facebook IPO and whose new and higher value would result in a higher tax on the property. How big would that marginal effect be? Let’s assume all thousand Facebook millionaires buy a house and each sale (both new construction and upward assessment of an existing house) results in an increase in assessed valuation of $500,000. The resulting annual increase in property tax paid would be 1 percent of $500 million, or $5 million. (There would be some extra in jurisdictions that have passed bonds that add an increment over the basic 1 percent rate.) Even if we assume that all the Facebook millionaires buy their houses in Santa Clara and San Mateo counties, the increased property tax revenue amounts to only one-tenth of 1 percent of the roughly $5 billion a year in property tax collected by those two counties, of which about 60 percent goes to schools. But because this in California, not even that $3 million necessarily helps the local schools. Under its Prop 13 and Prop 98 school financing system, California imposes revenue limits on school districts. Changes in local property tax revenue collections for schools are offset by increasing or lowering general state aid to districts to maintain the revenue limit. In the typical district, the increase in property tax revenue from a Facebook millionaire will flow to back to the state budget, not the local school. The exception is for what are called “basic aid districts,” those whose local property tax revenues for schools exceed the statewide revenue limit, permitting them to spend over the limit. Because many of the school districts in Silicon Valley are basic aid districts, they would receive some of that $3 million in new revenue. Their new revenue would be dwarfed, however, by the money they have lost from the state’s new policy of reducing categorical funding for basic aid districts. If the Facebook IPO will make for “a neat event study,” it will not be for the reasons Kahn suggests. 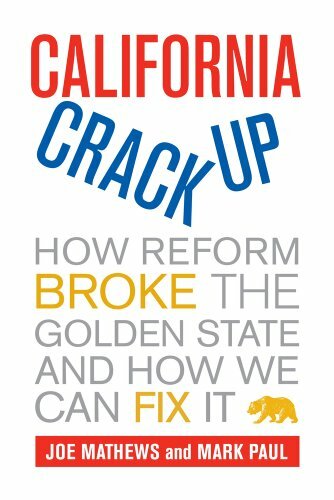 The more interesting story here is how, under California’s strange and radical system of public finance and governance, an event so large in economic terms can have so little effect on the public finances of the local communities in which it is happening. Just to remind everyone what's at stake, the students and staff at Roy Romer Middle School in North Hollywood weigh in on the budget debate.